In your home or office, the Draper 72 x 96" Salara Manual Front Projection Screen (High Contrast Gray) makes a design statement. 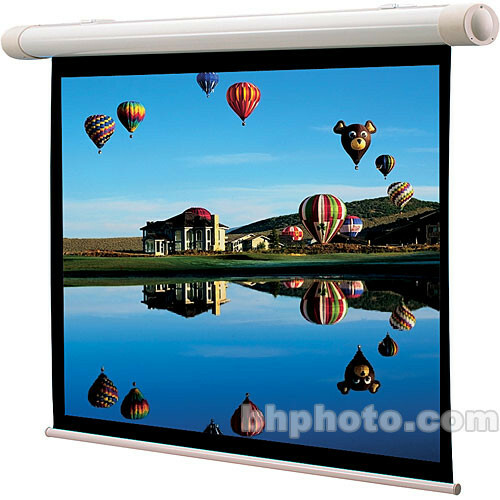 This manual, spring roller operated screen will grace your office, schoolroom, conference room or family room. Floating gunlatch wall mounting brackets grip the screen case securely and are barely visible. The Salara benefits from quick and easy installation. The result is the most attractive screen you've ever seen. Box Dimensions (LxWxH) 111.0 x 10.0 x 9.0"